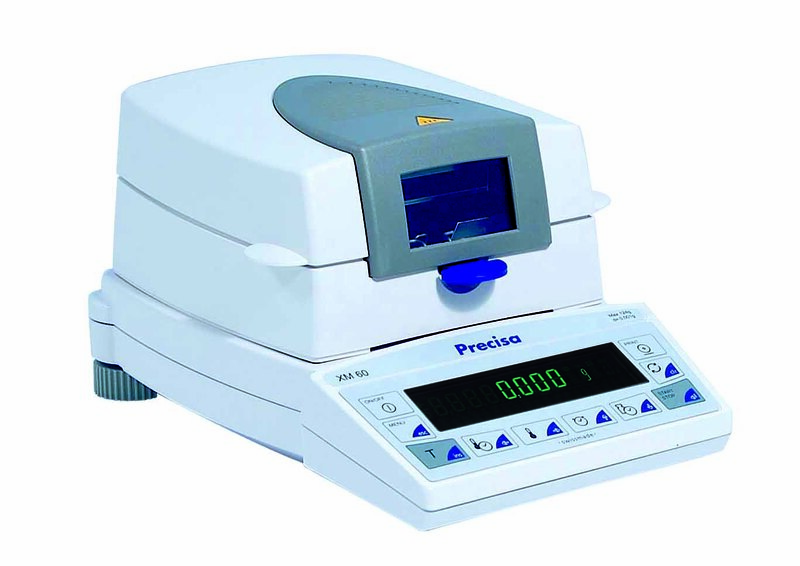 Moisture Analysers from Precisa – for efficient measurements and accurate results. 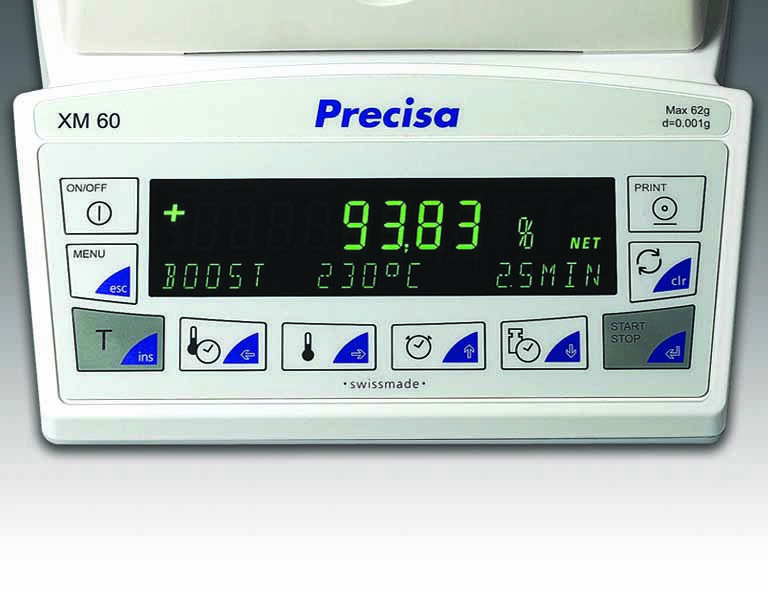 Precisa has a wide range of moisture analysers for a variety of applications. 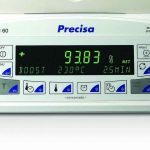 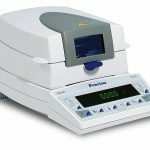 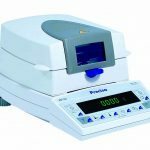 From food, pharmaceutical, environmental or any other market where moisture content is important, a Precisa moisture analysers will have an ideal product. 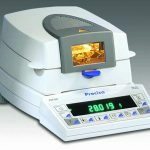 From the entry level model XM50 to the top of the range EM-120HR, the Precisa family of Moisture Analysers features robust mechanics, inspiring design, compact footprint and a high level of accuracy and precision. 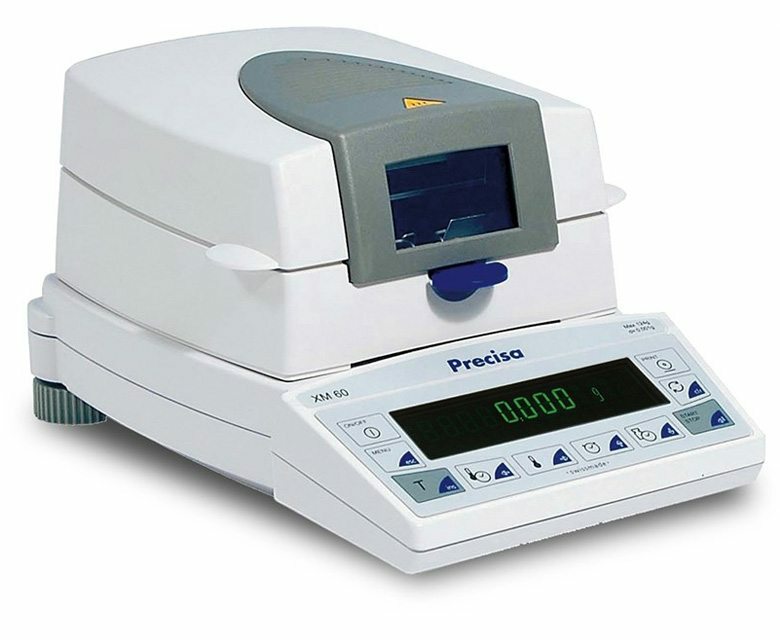 The XM Series features 4 different models to cover a wide range of applications. 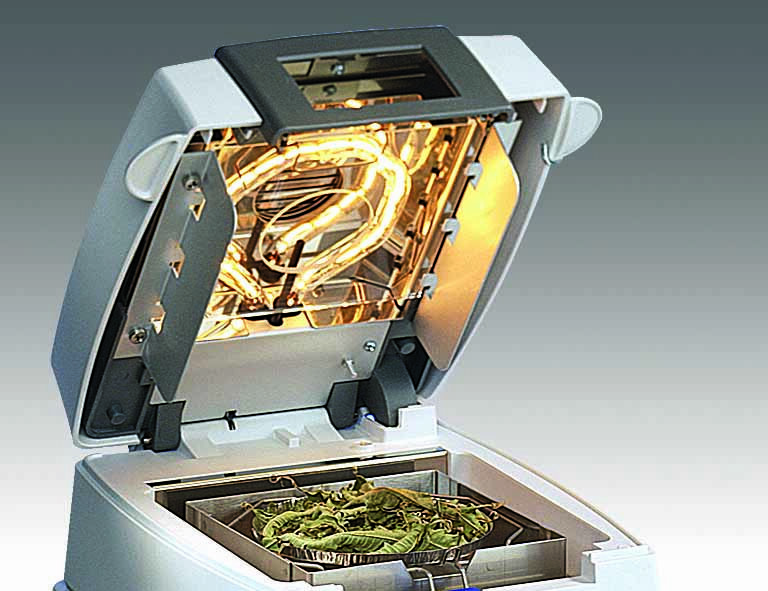 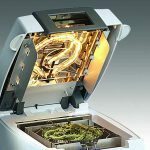 Featuring readabilities from 1mg (0.001g) to 0.1mg (0.0001g), temperatures up to 230 degrees Celsius and a choice of heating elements, the XM Series provides simplicity and flexibility for all the models in the range. 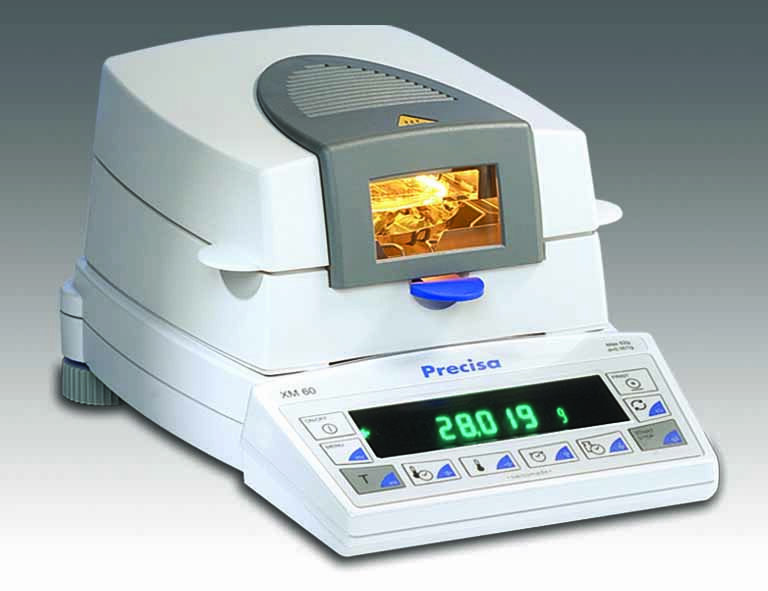 External calibration option for engineer or qualified user to perform checks and calibration of moisture analyser.